I thought I'd share some photos of our Wachendorfia seedlings. These plants have become more popular after featuring in a BBC Radio 4 Gardner's Question Time programme in 2017. 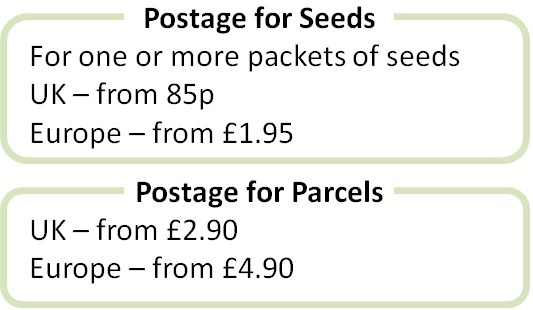 We are now struggling to source the seeds after our main supplier stopped shipping them, so we are cultivating the remaining seeds into plants. I am not sure if the plants will be naturally pollinated and produce seed in the UK as they are a Cape Flora plant, growing in the southern areas of South Africa, and ecologists are not clear how they are pollinated. Not bees, possibly beetles, which may not be resident here in Cornwall. I know mature plants can be divided once the underground rhizomes reach a decent size. This is a behind-the-scenes long-term project delivering plants for sale in maybe three to four years. 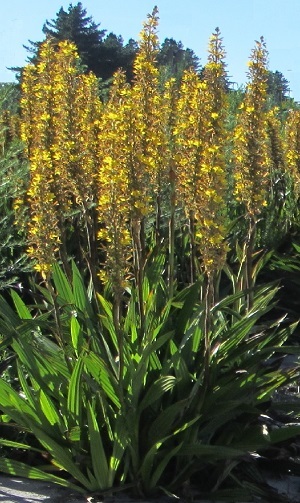 But we are hopeful they will be an unusual and popular choice of waterside plant for our mostly mild and sometimes very damp conditions in Cornwall. 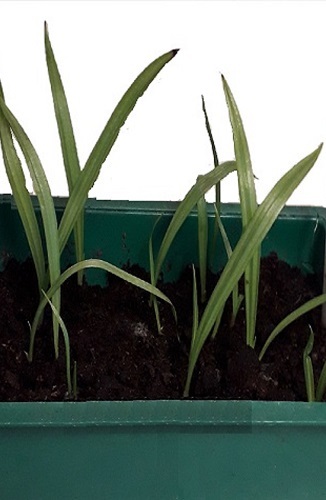 These are seedlings sown two months ago - they started germinating within three weeks and germination stopped after about six weeks - on a west facing windowsill indoors. These are the plants we are aiming for!